Psst… So finally Disney has won the war that was going on for a few months between Walt Disney and Comcast to acquire Twentieth Century Fox. Walt Disney Co. finally increased its initial offer to purchase most of 21st Century Fox to more than $71.3 billion in cash and stock, thereby, outbidding an offer by rival Comcast Corp. and escalating the bidding war for the coveted media properties. Disney’s new offer is way higher than its original offer of $52.4 billion in all stock and significantly higher than that of Comcast’s offer of $65 billion in roughly all cash. This acquisition will help Disney in fighting back against new-media competitors like Netflix Inc.
“The amended and restated Disney Merger Agreement offers a package of consideration, flexibility, and deal certainty enhancements that is superior to the proposal made by the Comcast Corporation on June 13, 2018,” – Fox said. Disney and Comcast are battling for prized media assets including the Twentieth Century Fox film and TV studio; U.S. cable networks FX and regional sports channels; international assets such as Fox’s 39% ownership in Sky PLC across Europe and Star India; and Fox’s one-third stake in the streaming service Hulu. Fox seems reluctant to contract a deal with Comcast because of concerns about getting regulatory approval from the federal government. Still, they said that the new Disney/Fox deal “ contains no changes to the provisions relating to the company’s directors’ ability to evaluate a competing proposal,” giving Comcast an opening to bid again. Comcast could try to outbid Disney again but it has yet to respond to the announcement of the new Disney/Fox deal. “Disney believes the transaction has a clear and timely path to regulatory approval,” – Disney’s announcement said. Both Disney and Comcast have acknowledged that they would have to divest off some Fox properties like Fox regional sports to get regulatory approval. After AT&T’s court victory allowing it to buy Time Warner last week, Comcast has reason to think that a Comcast/Fox deal would be approved. Disney has consented to pay the Fox shareholders about 50% in cash and 50% in stock. If the current deal closes, the shareholders would own about 19% of the combined company as against that of 25% under the old deal. Some pundits have also said that it would make better sense for Disney and Comcast to split off the Fox assets among themselves rather than going through a bidding war but the CEO of Disney has said that the idea of splitting the assets is a non-starter. “We have an agreement in place with [Fox] that precludes that,” – said Mr. Bob Iger on a conference call Wednesday. Disney also has time on its side, Mr. Iger said, because its deal with Fox has been through several months of regulatory review. “We believe that we have a much better opportunity, both in terms of approval and the timing of that approval than Comcast does,” – he said. The CEO also highlighted how Fox’s programming would boost his company’s efforts to launch a Disney-branded streaming service next year and compete directly with Netflix. “Direct-to-consumer distribution has become an even more compelling proposition in the six months since we announced the deal. The consumer is voting—loudly,” – he said. The fight for this is part of a scramble by media, telecom and cable companies to get bigger as technology-industry superpowers disrupt old ways of doing business. Digital media have become the latest craze with the availability of internet to everyone through smartphones, tablets and laptops. And the growth in this field has been exponential with the consumer base increasing with leaps and bounds. Hence, the traditional media companies are seeking to expand their portfolio to include digital media. Also, to cater to the demands of a more current consumers looking for entertainment on their myriad devices. Hence, the effort by Comcast to acquire most of 21st Century Fox. Disney has already added digital media to its portfolio quite a while back. So, as you can see, even traditional companies are trying to go digital to survive in the fast lane. Though there is a provision in place in the current Disney/Fox deal whereby It can consider bids by rival companies, Comcast is yet to make any overture to the announcement made about the Disney and Fox merger. 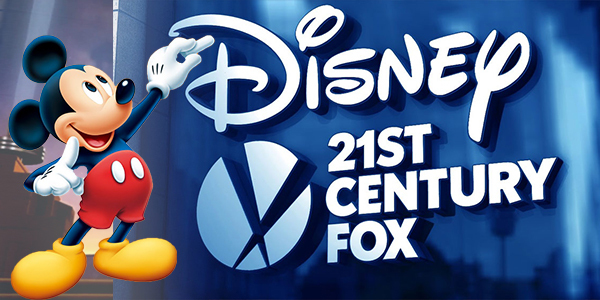 In the coming days, we will finally see what happens in the digital media wars that are going on between Disney and Comcast with respect to the 21st Century Fox properties. So, what do you think? Will Disney win this war? Or will Comcast make another attempt to outbid Disney to acquire 21st Century Fox? Leave your comments in the comment section below. SEO- Optimize your site the right way!